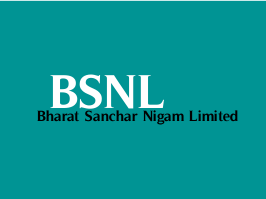 Bharat Sanchar Nigam Limited (BSNL) has released notification for the special recruitment of Management Trainee vacancies for Persons with Disabilities (PwD) (External Candidates). Educational Qualification: Candidates should possess Bachelor of Engineering/ Bachelor of Technology in Telecommunications/ Electronics/ Computer/ IT, Electrical with 60% marks for post 1, CA/ ICWA/ CS for post 2. Age Limit: Candidates age should not be exceeded 30 years as on 01-08-2015. Age relaxation is applicable 10 years for PwD (OC), 15 years for PwD (SC/ ST), 13 years for PwD (OBC) candidates as per rules. Examination Fee: Candidates have to pay Rs. 750/- through Demand Draft drawn in favour of Accounts Officer (Cash), BSNL payable at New Delhi. Selection Process: Candidates will be selected based on written test, document verification, group discussion & interview. How to Apply: Eligible candidates may apply online through the website www.externalexam.bsnl.co.in from 16-11-2015 to 25-11-2015.